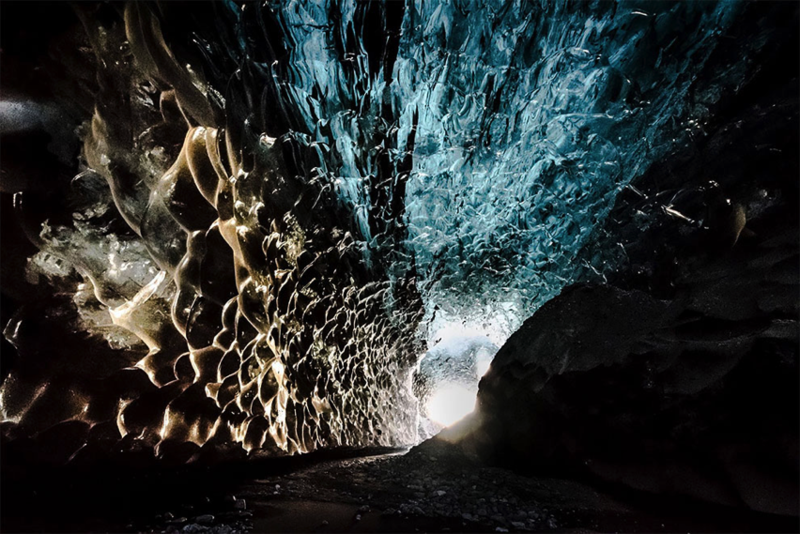 Matěj Kříž Photographs Ice Caves in Iceland’s Vatnajokull National Park #celebratephotography « Adafruit Industries – Makers, hackers, artists, designers and engineers! These frozen caves seem almost otherworldly as they daylight illuminates them. Matej Kriz’s shots reveal the beauty of the brilliant caves, but he’s also very aware of how deadly they can be. The photographer captured the amazing shots in the Vatnajokull National Park on the Breidamerkurjokull glacier tongue. Matej said: “One of the ice caves has been well known for few years already, but new ones appeared on east side of the glacier tongue this year. I live in the area for almost one year and exploring is part of my job – since I am working in the Jokulsarlon Glacier Lagoon, we were able to spot them from the boats in the end of the summer. Since my job involves cooperating with local companies, I have good relationships with them, and they told me about caves hidden from tourists, chichis the crystal blue one. It is always dangerous in these areas, to some of them you can get on the boat and then climb on the glacier, or with a super jeep or on your own, but anything can happen at any time of course. There are active volcanoes under the glacier, and earthquakes can break the entrance to the cave … or you can encounter an Icelandic troll!